The most popular guy of the season will be present to meet and greet. Christmas is just around the corner and whether the stockings have been hung with care or not, MCCS is ready to spread some holiday cheer. The 22nd Annual Courtney Christmas and Holiday Festival will take place this Saturday and Sunday, Dec. 5th and 6th, from 14:00 to 22:00 on both days at the Camp Courtney Commissary/PX complex area. The event is free and open to people of all ages and provides plenty of merriment for the Holiday season. Food is a big part of holiday cheer. 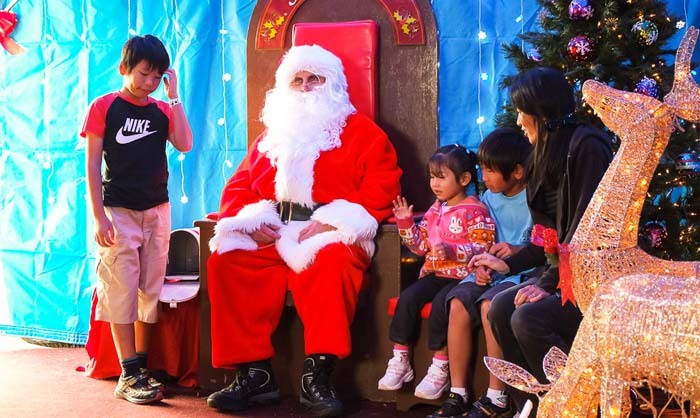 The Courtney Christmas and Holiday Festival will welcome service members, their families and local Japanese to partake in all the festivities. 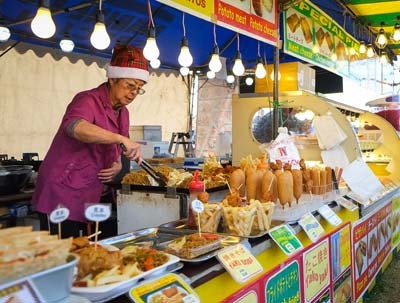 There will be interactive game booths, free entertainment, delicious cultural foods and seasonal treats. 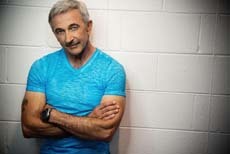 Headlining at this year’s festival is Country music star Aaron Tippin who will be performing at 7:30 p.m. on both days. Aaron is well known for his hit songs “Where The Stars And Stripes And Eagle Fly,” a song that became part of the American lore in the aftermath of 9/11,”That’s As Close As I’ll Get To Loving You” and many more. For more information on all the free entertainment including the kids carnival, visit the MCCS facebook page. 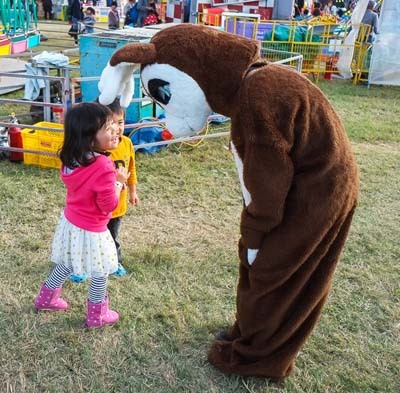 Rudolf has a chat with a pair of visitors at last year’s festival. As this is the season of giving, MCCS will give away plenty of prizes for everyone during this year’s festival. While at the festival enter to win a roundtrip ticket from Tokyo to the U.S. courtesy of American Airlines or an overnight stay for a family of four courtesy of ANA Intercontinental Manza Beach Resort. SOFA personnel 18 and older can sign up at the American Airlines and ANA Intercontinental Manza Beach Resort booths between 14:00 and 18:00 both days. Join MCCS for a very Merry Christmas this year at Camp Courtney. No one will be admitted with pets, glass bottles, outside alcohol or coolers. A picture I.D. required at the gate. For more information about the 2015 Courtney Christmas & Holiday Festival, contact MCCS Special Events at 645-5828, make contact with us on Facebook at facebook.com/mccsokinawa.entertainment or visit MCCS online. MCCS has produced an English language TV spot of the festival. Country star Aaron Tippin is on stage on both days at 19:30.